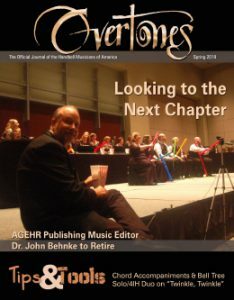 Overtones is the Handbell Musicians of America’s bi-monthly journal. 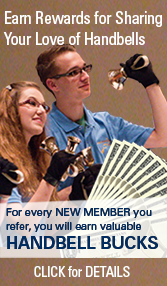 It includes valuable features, articles and advice for handbell and handchime directors, ringers, and enthusiasts. Departments within the magazine address Community and Professional Ensembles, Church Musicians, Music Educators, and Music Reviews. In addition, a center pull-out section, Tips & Tools, provides valuable resources such as music and lesson plans (all reprintable) that can be put to immediate use with your choir or in your classroom.